Family owned and farmed in Saskatchewan Canada since 1960. Appartenant à la famille et de l’élevage dans les La Saskatchewan au Canada depuis 1960. Have a question for Dosch Organic Acres? Please refer to the Amazon.ca Return Policy or contact Dosch Organic Acres to get information about any additional policies that may apply. To initiate a return, visit Amazon's Online Return Centre to request a return authorization from the seller. When you purchase a new, refurbished, used, or collectible item from a seller at Amazon Marketplace, you pay immediately, online. Included in your payment is a pre-calculated fee for shipping. Amazon.ca Marketplace shipping fees are fixed for the products listed in the chart below. Shipping rates for items not listed in the chart below are determined by the seller. Rates are based on shipping a single item. Purchasing multiple items results in multiple shipping charges - there are no "per shipment" and "per item" charges. To see shipping charges for a specific item or order, place the item(s) in your cart and proceed to the Order Summary page. You'll see shipping charges and don't need to finalize your order right away. You can always continue shopping and items will remain in your cart - your order isn't complete until you click the Place your order button. All prices hereunder are in Canadian dollars. Marketplace orders do not qualify for FREE Super Saver Shipping. Buyers at Amazon.ca Marketplace must be located in a supported country. Sellers ship your item(s) within 2 business days of purchase. Domestic Standard shipments are expected to arrive within 4 to 10 business days after shipping. Shipments to the United States are expected to arrive 7 to 12 days after shipping. Marketplace shipping times are not guaranteed and the actual performance varies by seller. Should you have any questions about your shipment, please contact your seller directly. Amazon.ca charges Marketplace buyers a flat rate for shipping, and funds are passed to the seller to offset packaging and labor costs, as well as the actual postage required. The credit given to a seller usually closely matches what the seller pays to ship the item. However, there may be times when the credit exceeds the shipping costs. Please understand that these cost variations are an inherent feature in any mail-order service. Unless noted otherwise in the ordering pipeline, Dosch Organic Acres ships all items within two days of receiving an order. You will receive notification of any delay or cancellation of your order. Dosch Organic Acres values the privacy of your personal data. Sales tax is not separately calculated and collected in connection with items ordered from Dosch Organic Acres through the Amazon.ca Site unless explicitly indicated as such during the ordering process. 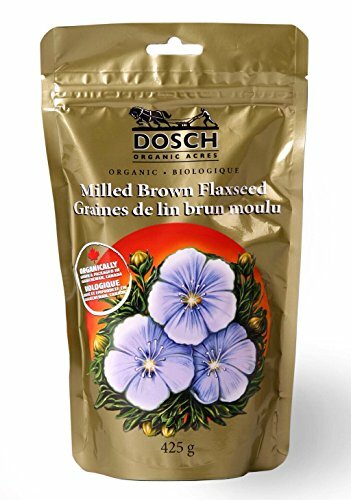 Items ordered from Dosch Organic Acres may be subject to tax in certain provinces/territories/states based on the province/territory/state where the order is shipped. If an item is subject to sales tax, in accordance with provincial/territorial/state tax laws, the tax is generally calculated on the total selling price of each individual item, including shipping and handling charges, gift-wrap charges, and other service charges, less any applicable discounts. If tax is separately calculated and collected in connection with items ordered from Dosch Organic Acres through the Amazon.ca Site, the tax amounts that appear during the ordering process are estimated - the actual taxes that will be charged to your credit card will be calculated when your order is processed and will appear in your order confirmation notification. 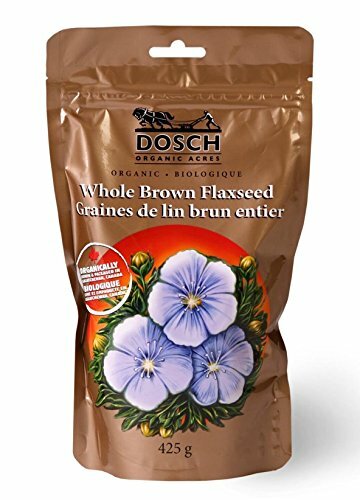 Dosch Organic Acres seller has more products available, refine your search with a keyword above or view the entire catalogue on the seller's storefront.